Miami Geo Quiz #32: Descending Cage. Source: Matthew Toro. July 11, 2015. Miami Geo Quiz #32: What is this descending cage? Where is it? Why is it there? Roof is enclosed to prevent kids from throwing rocks and boulders at the cars below. Fact. Sanpper Creek on US1 and 67ave. Yes! You got it too, Johanna. Be on the look-out for the next Miami Geo Quiz! Pedestrian crossing by the target on us1 and 67th avenue? Excellent job, Kelly! You got it! Too easy, huh? Thanks for playing! Miami Geo Quiz #33 is coming soon! 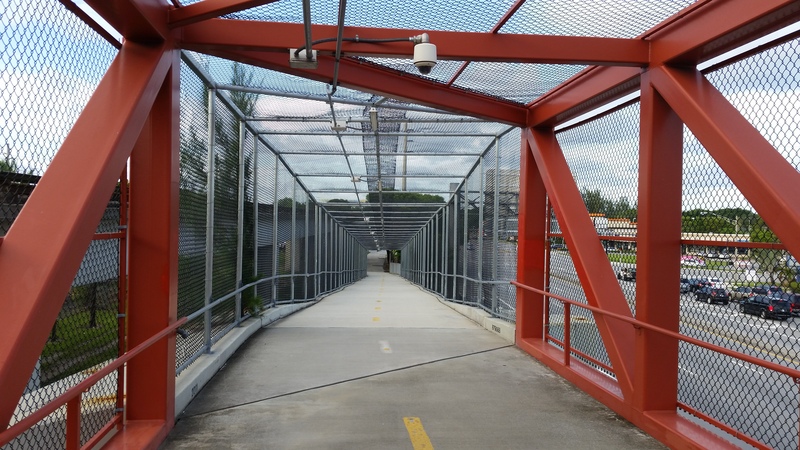 Pedestrian overpass on US1 & near 67th?